With the Robot Launch 2018 competition in full swing – deadline May 15 for entries wanting to compete on stage in Brisbane at ICRA 2018 – we thought it was time to look at last years’ Robot Launch finalists. Tennibot won the CES 2018 Innovation Award, was covered in media like Times, Discovery Channel and LA Times. Tennibot also won $40,000 from the Alabama Launchpad competition and are launching a crowdfunding campaign today! Tennibot uses computer vision and artificial intelligence to locate/pick up tennis balls and navigate on the court. 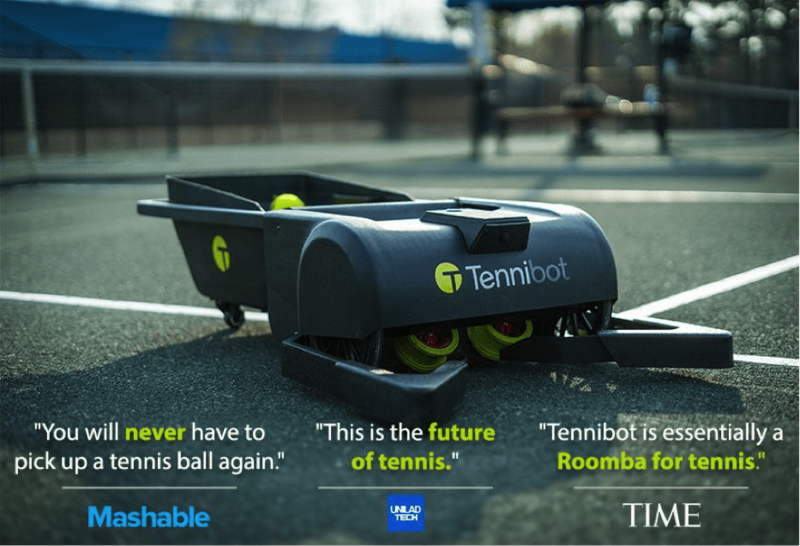 Tennibot is the world’s first autonomous tennis ball collector. The Tennibot team has already won the Tennis Industry Innovation Challenge. So, if you think that Tennis + Robots = Your kind of sport – then head over to Tennibot.com to learn more and purchase your Tennibot before it’s too late! Semio, from California have a software platform for developing and deploying social robot skills. Apellix from Florida who provide software controlled aerial robotic systems that utilize tethered and untethered drones to move workers from harm’s way. Mothership Aeronautics from Silicon Valley have a solar powered drone capable of ‘infinity cruise’ where more power is generated than consumed. Apellix were also winners of Automate 2017 startup competition. Mothership have raised a $1.25 million seed round from the likes of Draper Ventures. 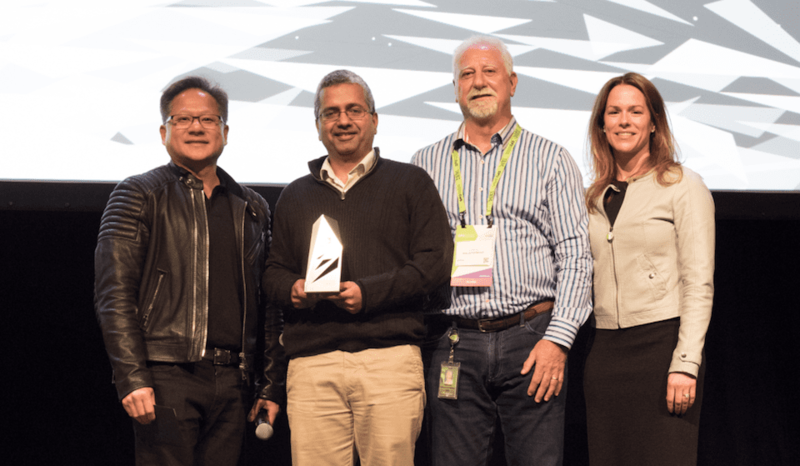 Kinema Systems has just won the NVIDIA Inception Challenge out of more than 200 entrants and splits $1 million prize money with two other AI startups. BotsAndUs have trialled Bo in more than 11,000 customer service interactions. Krtkl is focused on revenue not fundraising, C2RO is building partnerships with companies like Qihan. 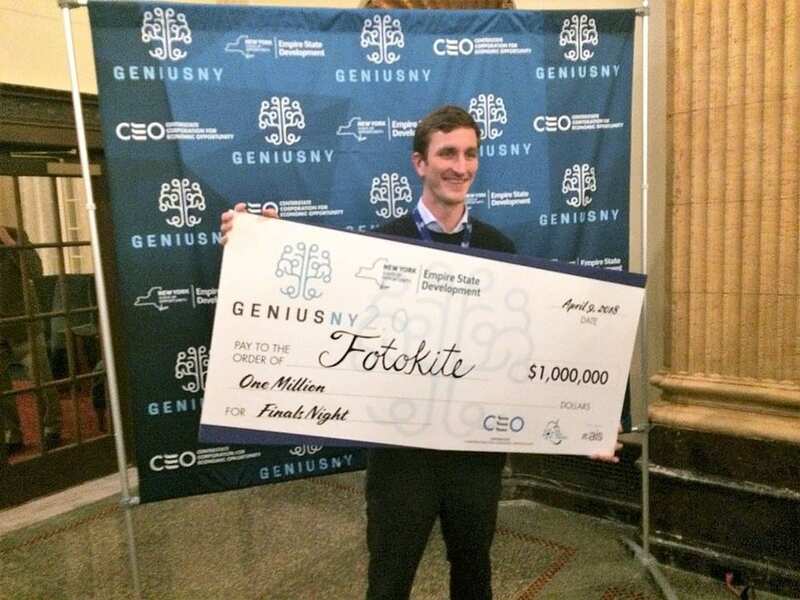 And Fotokite just won the $1 million Genius NY competition. You’ll also see some other familiar names from the shortlist for 2017, not to mention lots of success for our 2016 top startups. We can’t wait to see who will be finalists in 2018! 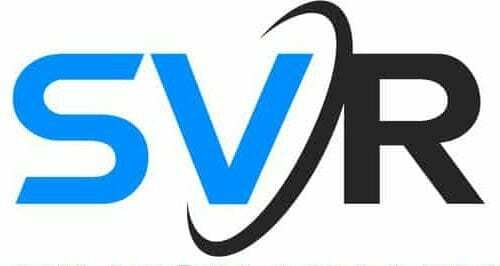 Do you have a startup idea, a prototype or a seed stage startup in robotics, sensors or AI?